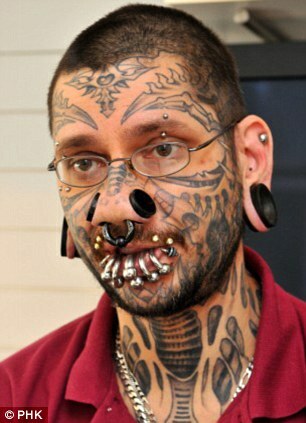 You go in and get a tattoo from this guy, and you are asking for it. And after a dozen or so years, the effects of the laser on her skin will have the left side of her face erupting with blotches. 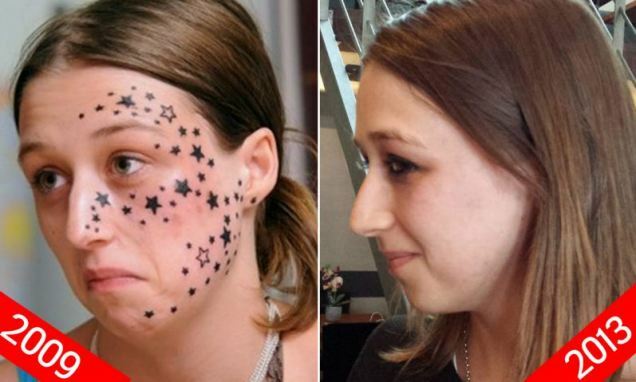 I won’t paint with a broad brush for all fans of the art of Tattoo, but certainly some of these people are freaks who clearly hate themselves and want to make the rest of the world share in their own personal self-disgust. The huge piercings? The gauges? The face tats? These are sick people. That guy has “issues” and lots of them. She finally figured out why she was unemployable? Missionaries make Christians cover up their tattoos in many lands because a tattoo is perceived as paying homage to a demon god. Luckily for her, darker colours are most easily removed. In my personal opinion, anyone willfully choosing to make a permanent mark or feature on their bodies has mental issues, not least of which is a lowered sense of respect for their own body and self. I wonder where he is now and what he does to feed, clothe and house himself. He makes a living making other people look like him. He is an.... Artiste`. The only tattoo that I would ever consider getting would be one identifying myself with a branch of the military. But since I was never in the Military, I have never been tempted to do that. Didn’t finish the last one, representing state #57? Thanks davemac.439. wow, demons really want to make people ugly.